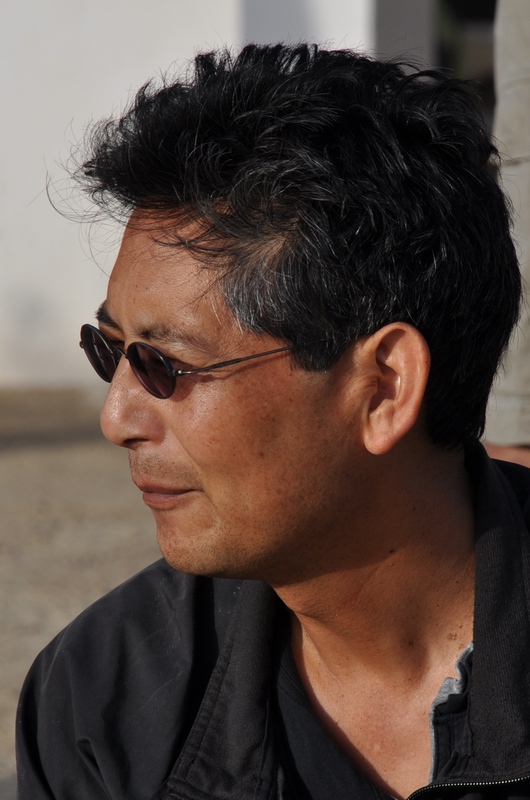 In continuing with our spotlight on EDF’s passionate and talented Oceans staff, we invite you to learn a little more about Dr. Rod Fujita, EDF Senior Scientist and Director of Oceans Innovations as well as Visiting Fellow at Stanford University’s Woods Institute for the Environment. I studied biology and math at Pitzer College in Claremont, California. I later got a Ph.D. in marine ecology from Boston University’s Marine Program, at the Marine Biological Laboratory in Woods Hole, Massachusetts. Tell me about your experience in the field doing hands-on research. I’ve spent quite a bit of time in the field, including the kelp forests of California, the salt marshes and estuaries of New England, the rocky shores of Oregon, and coral reefs around the world. A highlight was back in the late 1980s when I camped out at an isolated lighthouse about five miles off of Key Largo in the Florida Keys to study Carysfort Reef. I had a power generator to operate my equipment and would stay out there for a few weeks at a time periodically over the course of a year. I dove and snorkeled in the reef several times a day, eventually spending hundreds of hours underwater to study what caused different types of algae to grow in the coral reef. You were one of the first advocates to propose that mass coral bleaching is a result of climate change, is that correct? In the late-1980s several scientists began to notice a strange pattern of coral bleaching. My colleague Dr. Tom Goreau and I looked at global temperature patterns and noticed a high correlation between hot spots in the ocean (just one or two degrees Celsius warmer than surrounding waters) and bleaching. We also noticed a correlation between unusually hot years and unusually severe bleaching, so we made the case that bleaching was indeed global and could be related to climate change. When my EDF colleague Mark Epstein and I presented the findings at a meeting of scientists in Berkeley, we were criticized by just about everyone there. It wasn’t until many years later that we were vindicated. What are some other highlights of your 20 year career at EDF and as a founding member of the organization’s oceans program? I was able to contribute to the work of the Intergovernmental Panel on Climate Change and raise awareness among the general public as well as among the negotiators of the Framework Convention on Climate Change about the impacts of climate change on coral reefs, mangroves, and other ocean ecosystems. EDF’s Doug Rader and I were two of the first environmentalists to advocate for marine protected areas, way back in the late 1980s. I helped establish the Florida Keys National Marine Sanctuary and marine protected areas in the Channel Islands and off the coast of California as well. Another highlight was the excitement of learning about a solution to overfishing from EDF economists Zach Willey and Dan Dudek when I first started at EDF in 1988: catch shares. It’s great to see catch shares catch on, especially after having to endure heavy criticism and opposition for years. How did you come to support catch share management for fisheries? When Doug Hopkins, Doug Rader, and I founded EDF’s oceans program in 1990, we identified overfishing as the number one threat to marine biodiversity. The traditional way of managing fisheries has too often failed either ecosystems, fishermen, or both and needs major surgery, not minor fixes. In the ‘90s, we started reviewing various proposals for fixing the system. Zach and Dan persuaded us to study catch shares, which many economists had been advocating for a long time and which several countries had already adopted. After an exhaustive review of the scientific literature, we concluded that catch shares could transform the way fisheries are managed and greatly improve their conservation and economic performance. Catch shares work because they align stewardship with economic incentives and require fishermen to be accountable for their catch. Fishermen are rewarded when the fish populations rebound by being able to catch more fish. In conventional fisheries management, fishermen are given the incentive to race to catch as much fish as fast as possible and are forced to throw tons of wasted, dead fish overboard. You’ve been appointed to many advisory panels and committees over the course of your career. Can you name a few? I served on the Marine Protected Areas Federal Advisory Committee, three committees for the Pacific Fishery Management Council, and the National Oceanic and Atmospheric Administration’s West Coast Advisory Committee on Individual Transferable Quotas for fish harvest privileges. I’ve had the opportunity to testify in Congress several times and was a consultant to the EPA Science Advisory Board for the Alaskan Oil Spill Bioremediation Project. That I play guitar and bass in a rock band. People are also surprised to learn that I once hosted Barbara Streisand – a huge EDF supporter – on a tour of the award-winning EDF/American Museum of Natural History exhibition on climate change that I helped design. This entry was posted in Pacific and tagged Carysfort Reef, Catch Shares, Oceans Innovations, Staff Profiles. Bookmark the permalink. Both comments and trackbacks are currently closed.